The Tingbot Ocean is the open-source app store for Tingbot. On the Ocean you can check out what other people have made, and post your own app for other people to use. Next up, you'll need to make your app downloadable on the web. Our favourite way to do this is post it to GitHub. If you're familiar with git and GitHub, then put your tingapp folder inside a repo and skip to the next step. If you're not sure how to do that, read on. First up, make sure you've got Git installed. Install for Mac, Win, or Linux. Create an account at GitHub by going to github.com, clicking the 'Sign up' button, and follow the instructions. 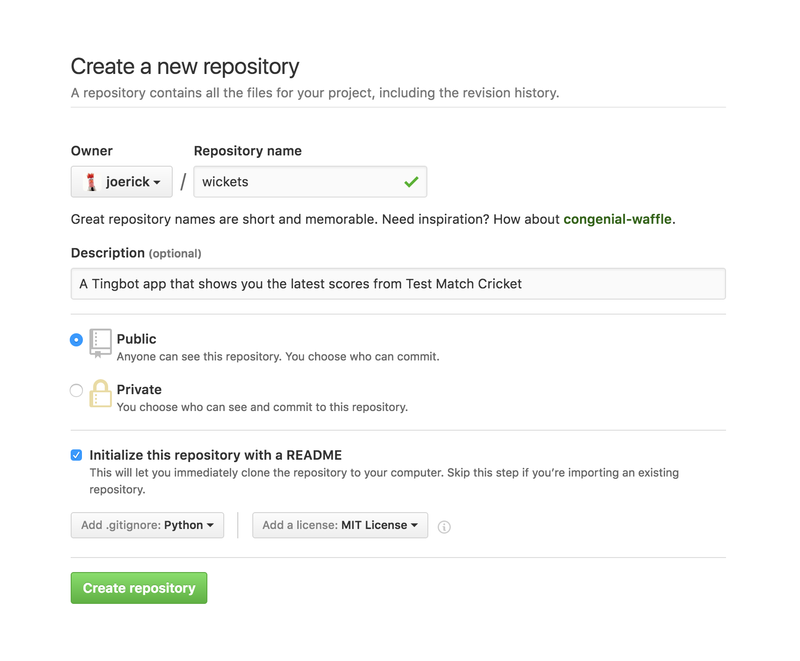 Once you've got an account, click the ➕ button in the top right and choose 'New repository'. A repository (or 'repo' for short) is where your code lives. Git repositories also keep track of every change in your code, so you can make changes without worrying that you might break something! For the name, enter your tingapp name, without the '.tingapp' part. You can add a short description of what your app does. All set? Hit the big green button! On the next screen, you'll see your new repository. 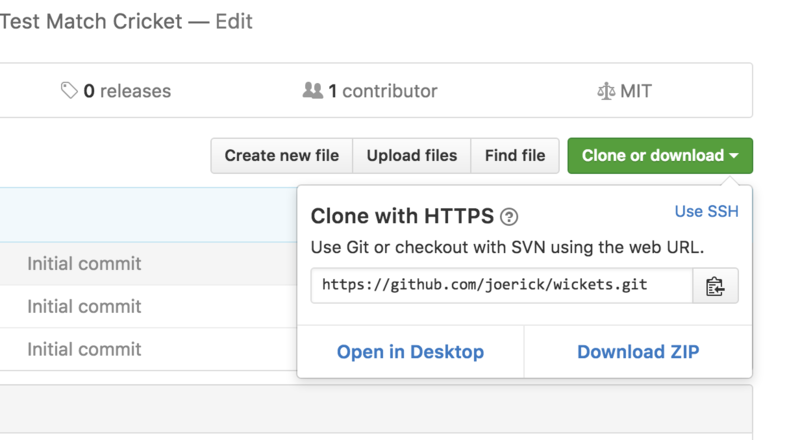 Copy your Git URL from the 'Clone or download' button. Now open a terminal ('Git Bash' on Windows). You can now choose where to put the repository on your hard disk. Type cd to go to your home folder, do ls (dir on Windows) to look at what's here, and type cd <folder> to move around. Git will download your repo, into a folder with the name you chose earlier. Now you can add your app, by copying it into the folder that was created. If you're confused where your repo is, type open . on Mac, explorer . on Windows or nautilus . on Linux to open the folder in a file browser. Git will output a list of files that are going to be added. Give it a look over and make sure there's nothing there you don't want to publish. If there is anything, remove the files and do git add . again. Check your repo page on GitHub, you should see your app appear! Tingbot Ocean is also hosted on GitHub. To add your app, go to the _data/apps.yaml page and add an entry for your app. Save your change, and we'll get a pull request for your app. We'll take a quick look to review and then you should be live!